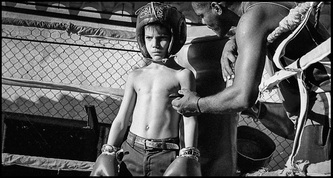 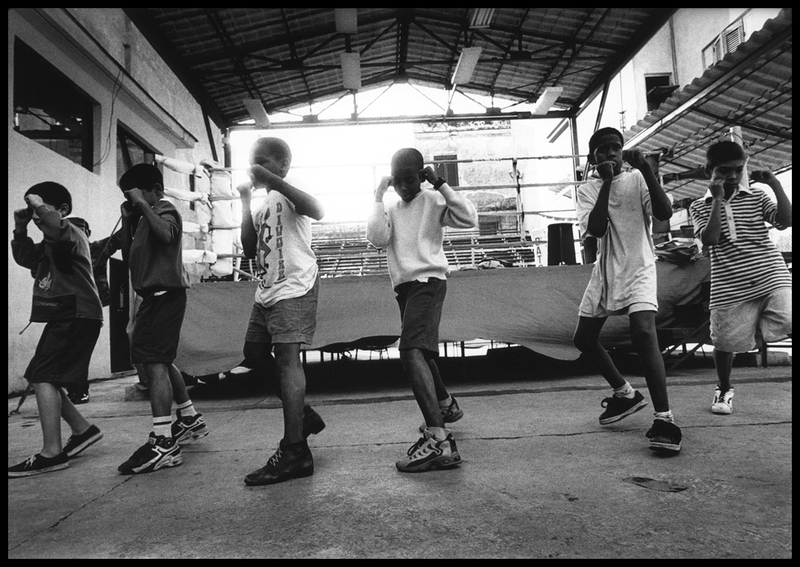 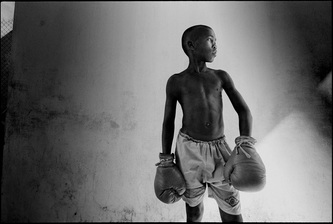 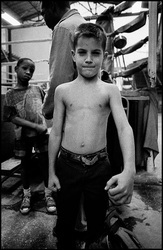 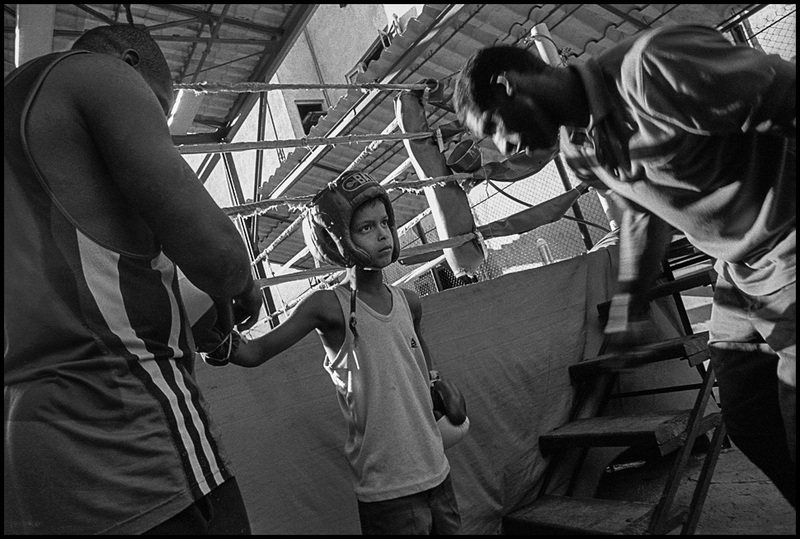 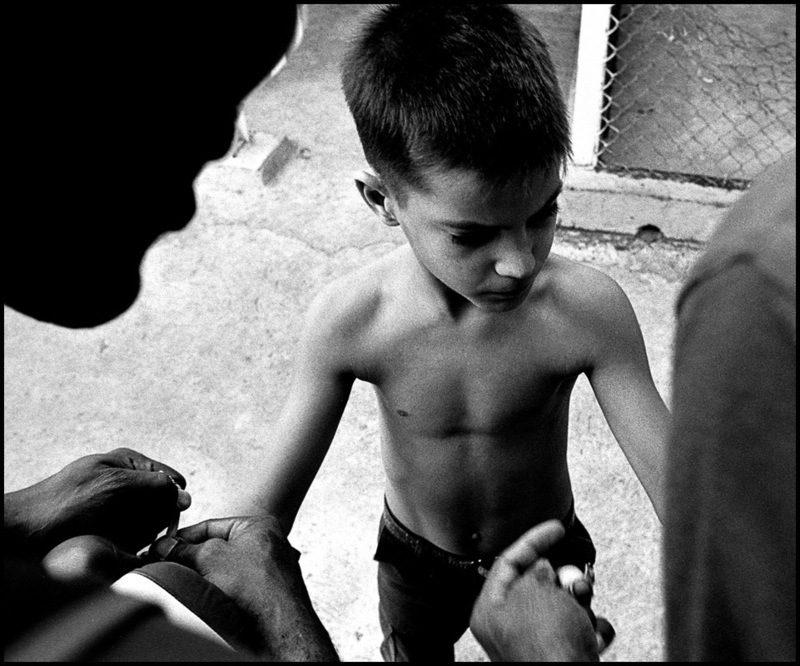 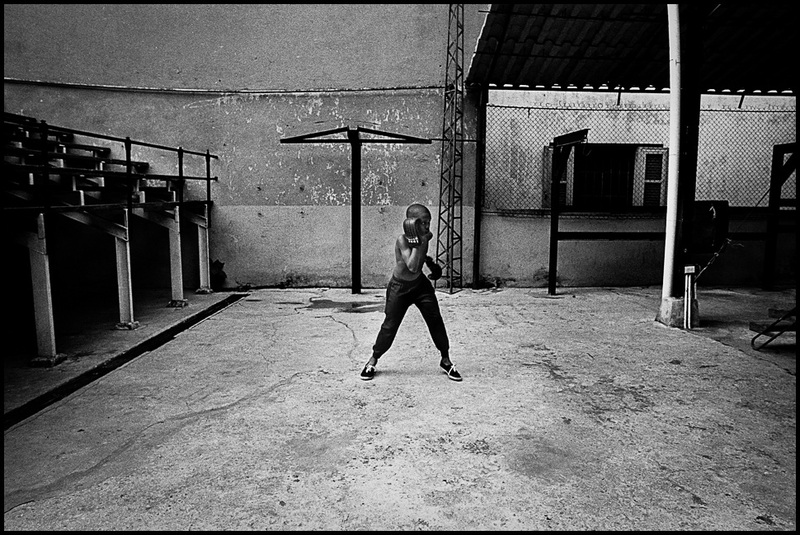 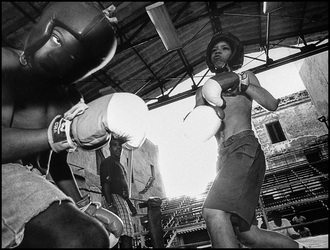 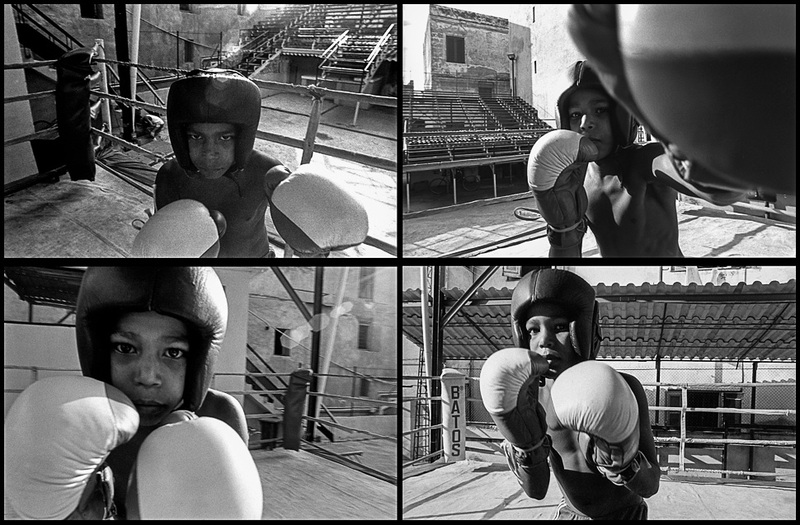 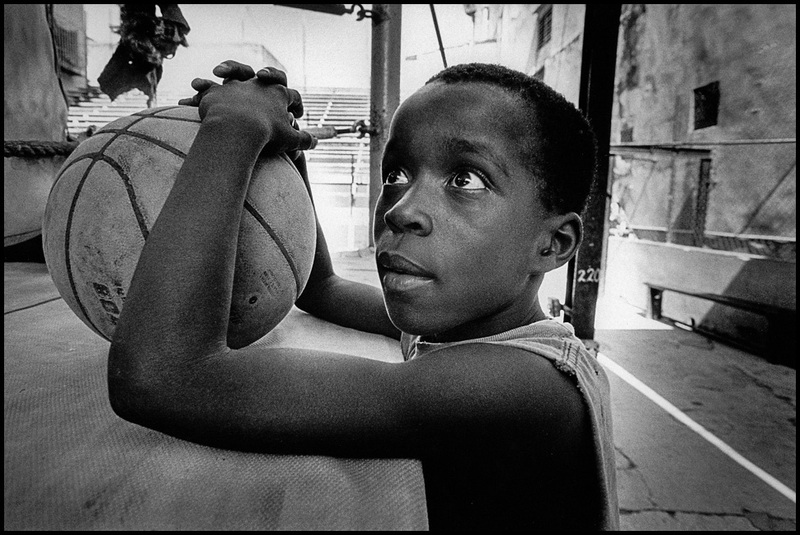 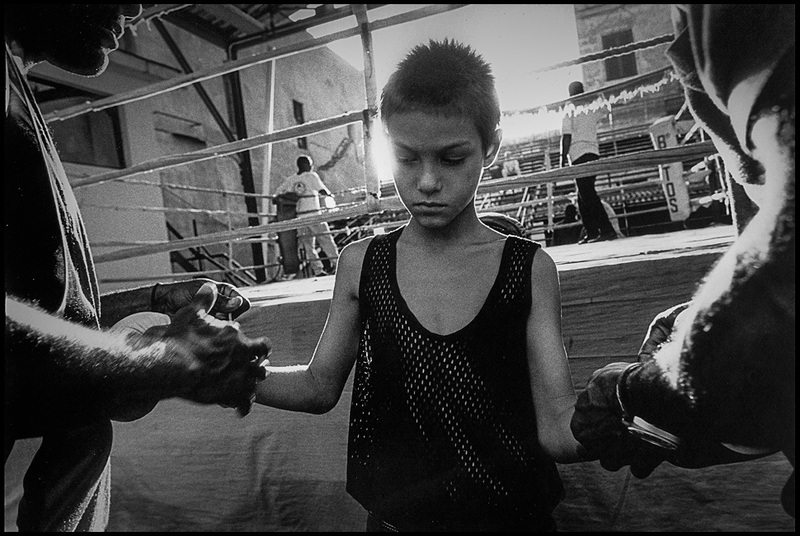 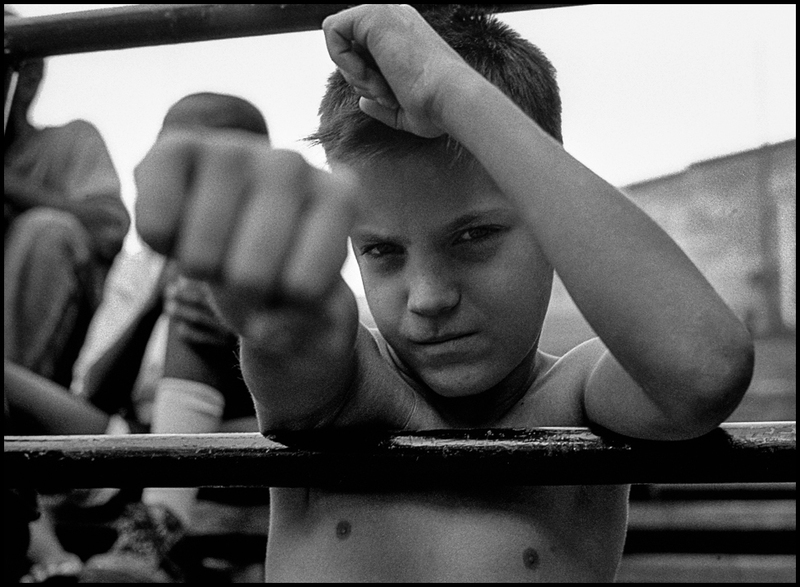 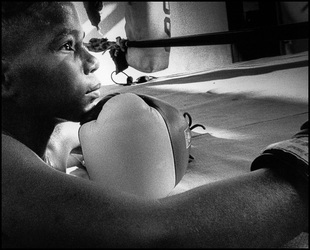 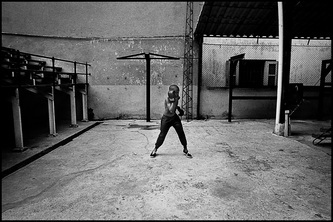 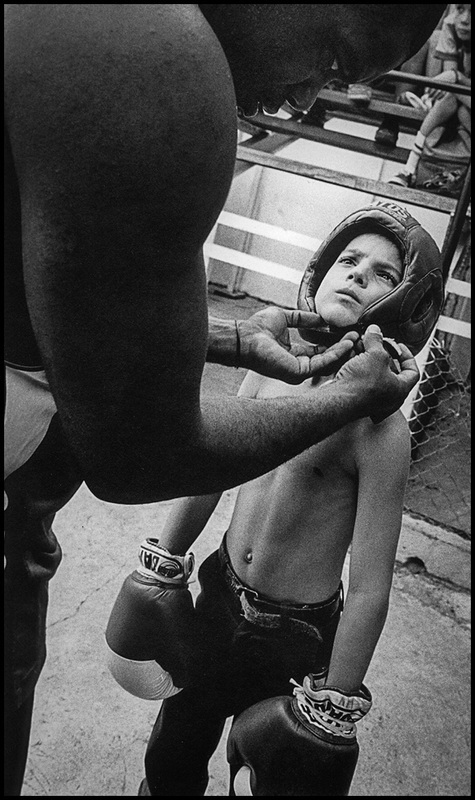 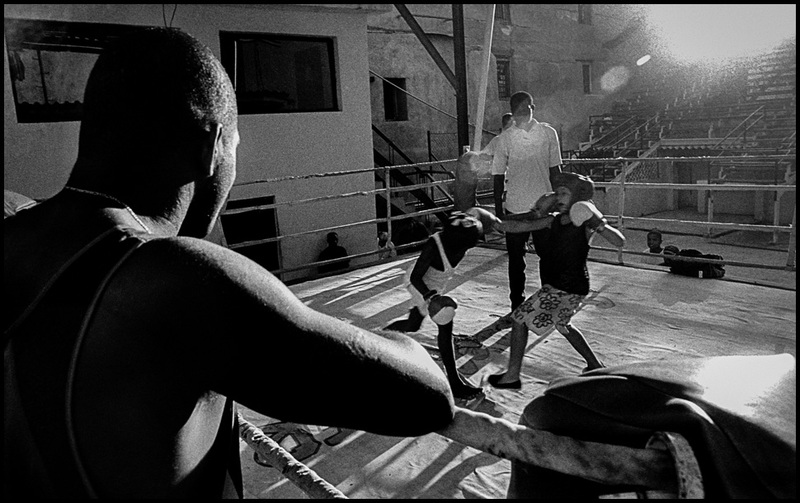 In December 2000, I travelled with my 25-year-old son Dominique to Havana to work on a photo assignment of the Rafael Trejo boxing club. 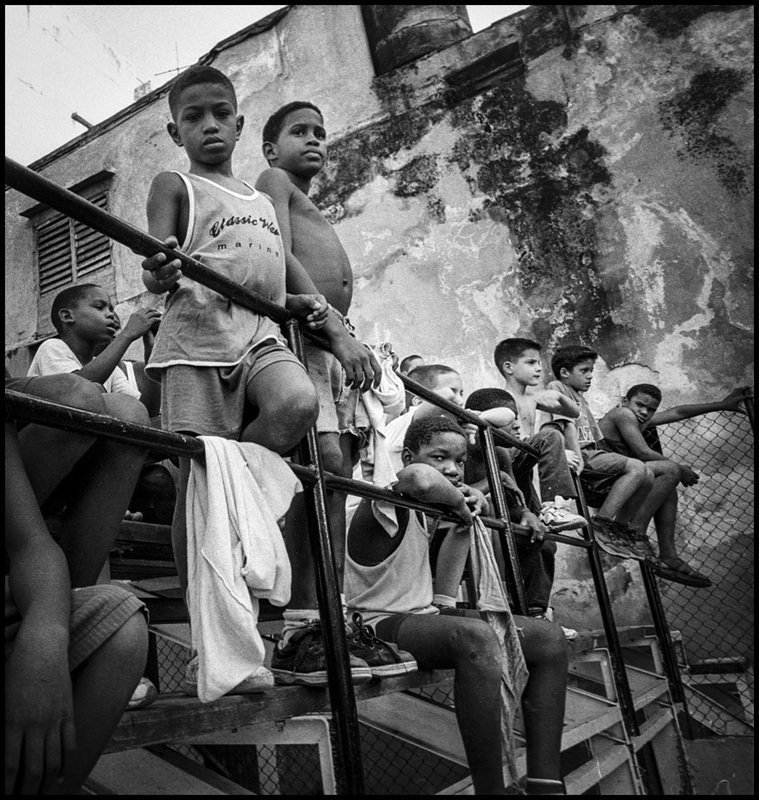 It was cold and rainy, and the streets of Havana were empty. 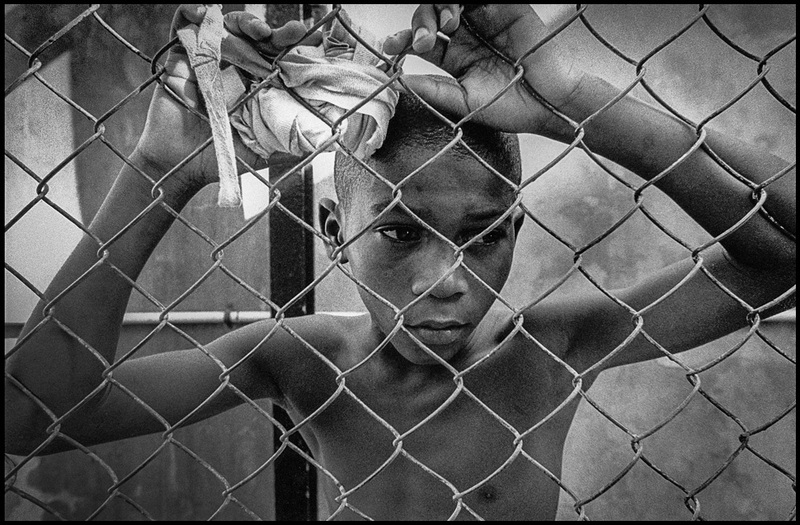 My son and I walked into an interior courtyard. There in the middle, surrounded by tenements, was THE RING. 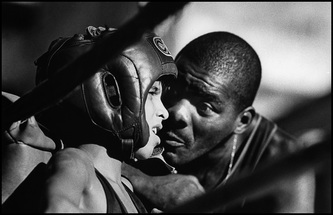 That day, Alberto, the head coach, wasn’t giving any lessons. 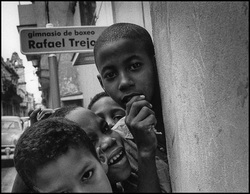 He invited us to sit on the only bench sheltered from the rain. 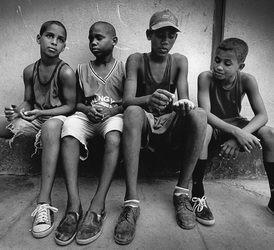 The dozen of idle kids listened to our conversation, a fluent round of Alberto’s one-two talk and my broken Spanish. One of the boys playfully threw a couple of punches at Dominique. 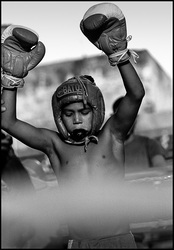 My son responded. 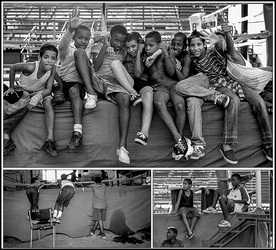 The ice was broken, and the two strangers were now part of the gang.I returned twice to the club to take photos. The first time, I witnessed matches between kids from the villages of Trejo and Regla. The club’s reputation was at stake. 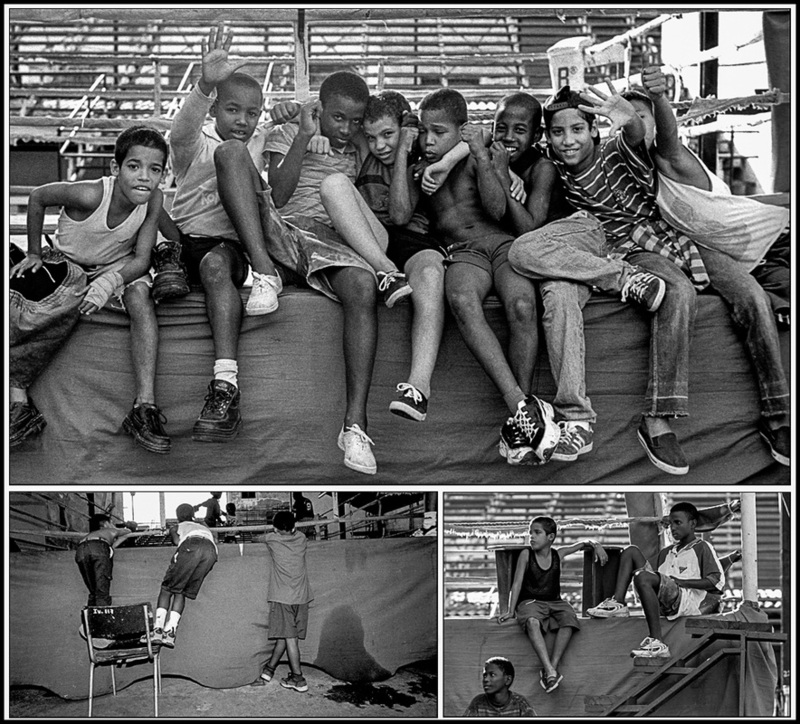 I could tell some of the kids were pretty scared before climbing into the ring. 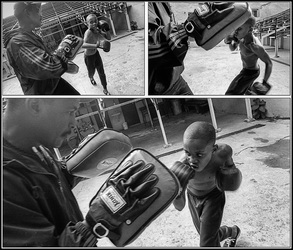 I returned to the Boxing RING one year later. 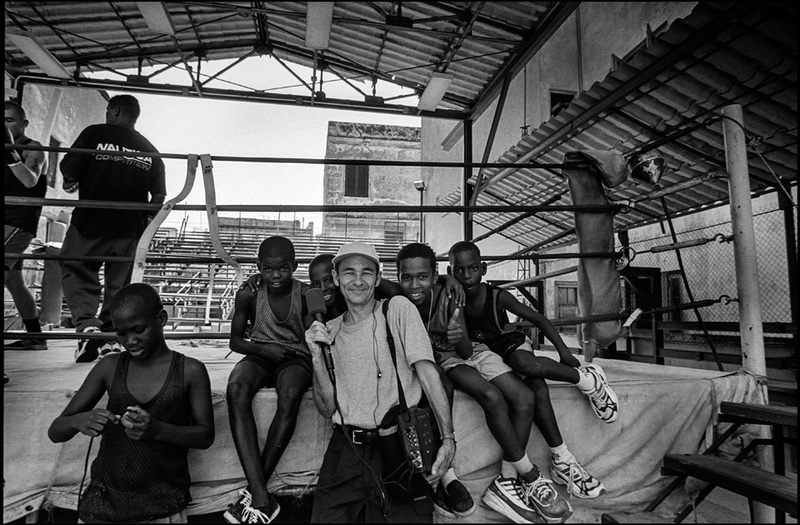 This time, I added a tape recorder in my camera bag. 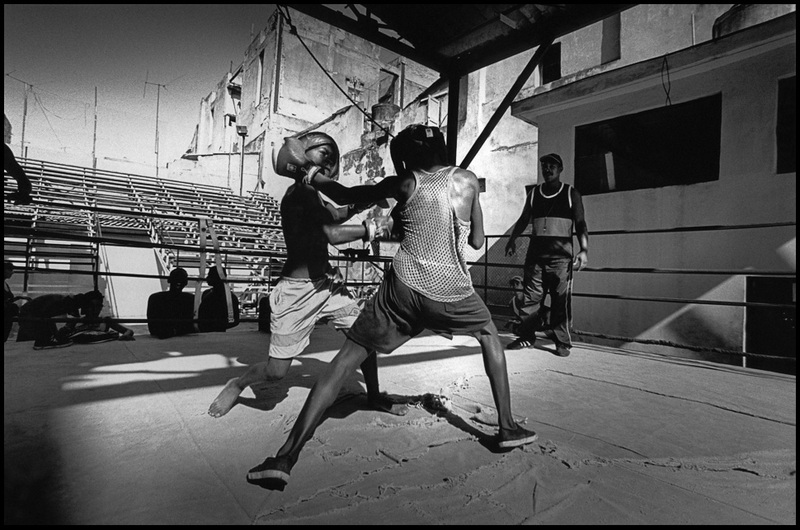 It was at that point that I heard the shouts, the violence and the terrible racket made by feet pounding on the ring’s unsteady floor. 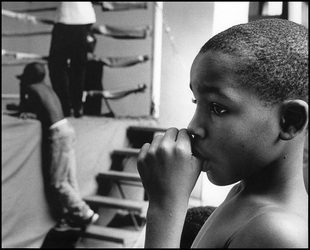 Yet I heard laughter too. 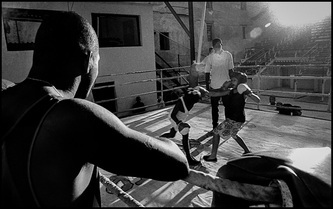 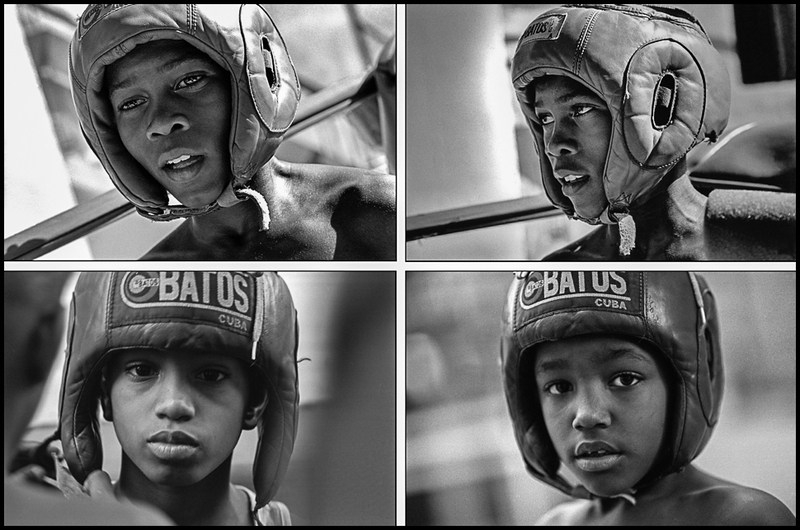 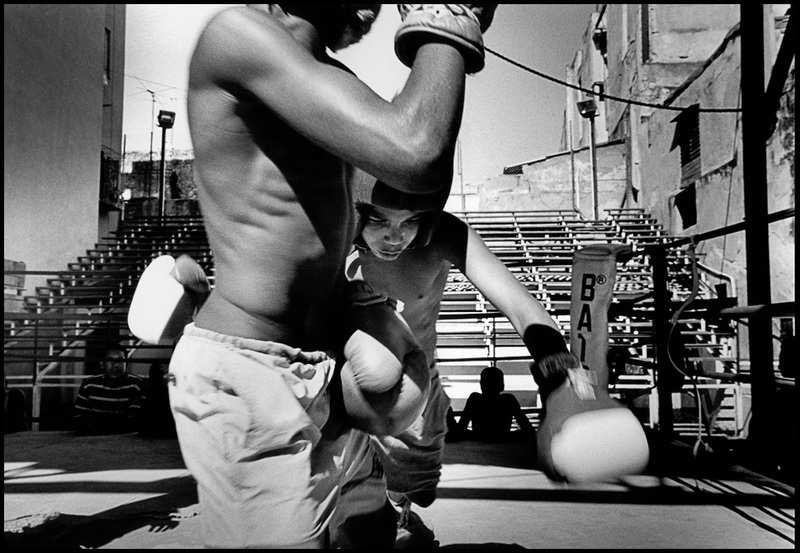 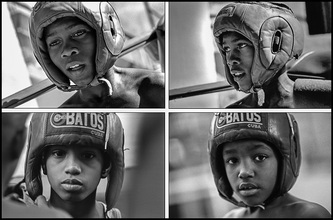 For these street kids, the Trejo boxing club was a playground, a family. For me, it became a peaceful haven away from the noise and stress of Havana. 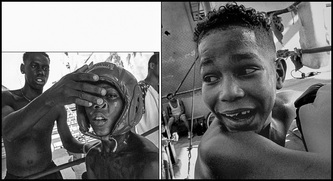 It was on my second trip that I photographed Toyo; Toyo who only the year before was sucking his thumb and was now, with his oversized gloves, one of Alberto’s hopefuls. 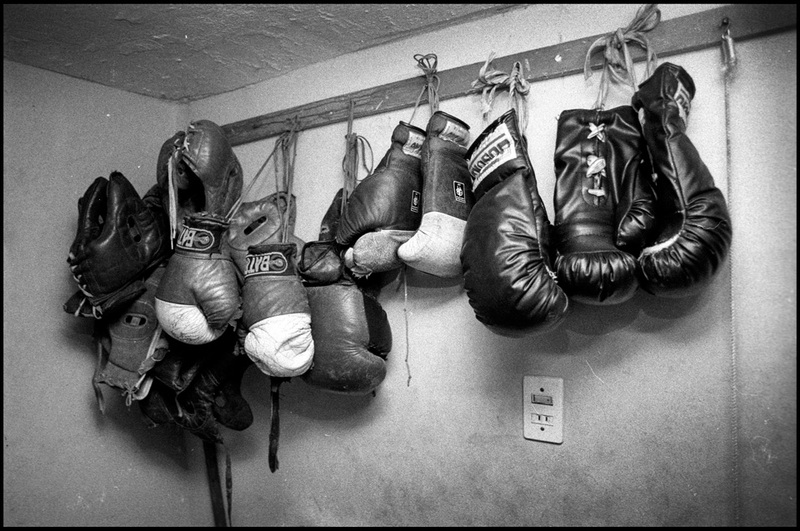 Boxing is a fascinating sport for a photographer. 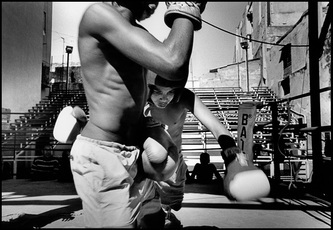 In my viewfinder, I focus on bodies that advance and duck, arms that take aim and swing, fists that clench and jab. 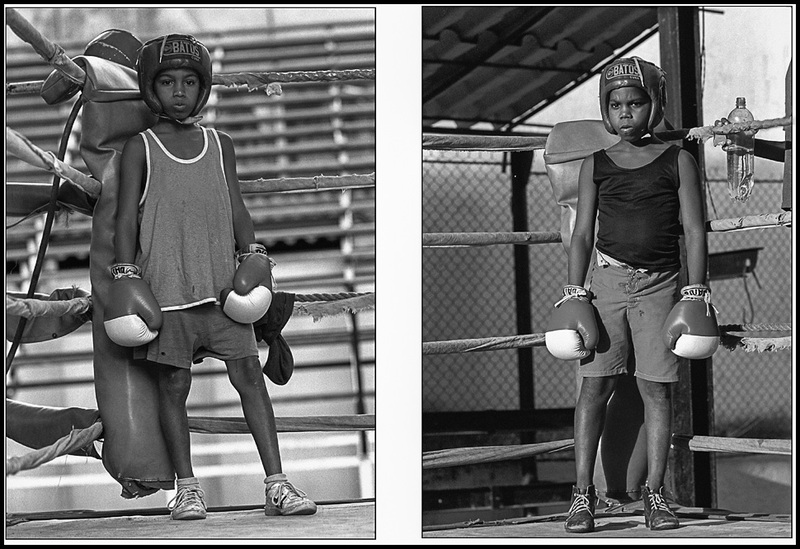 Behind my camera, I see intense, determined, hesitant, and sometimes frightened looks. 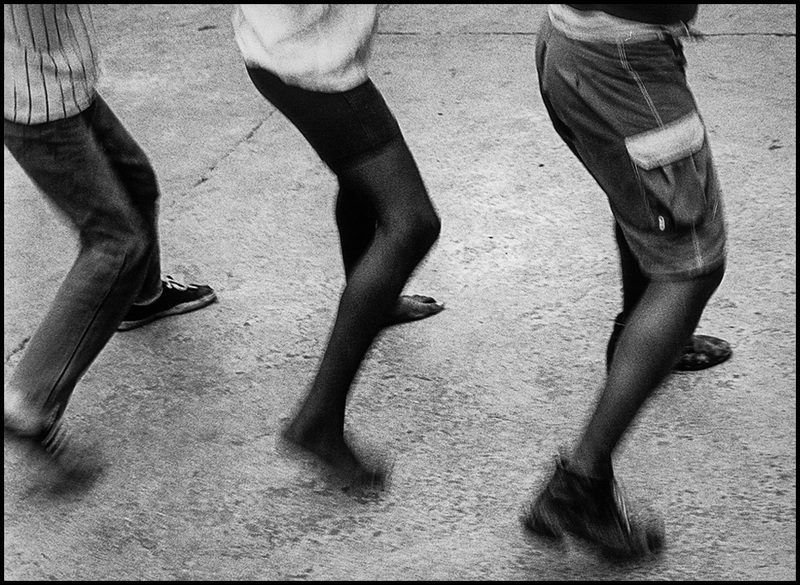 The moves are fast. 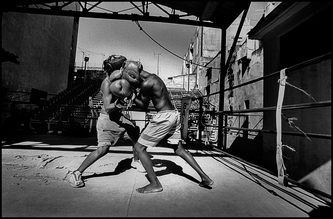 To compose an image, the photographer must be on his guard, ready to anticipate, just like adversaries in a combat. 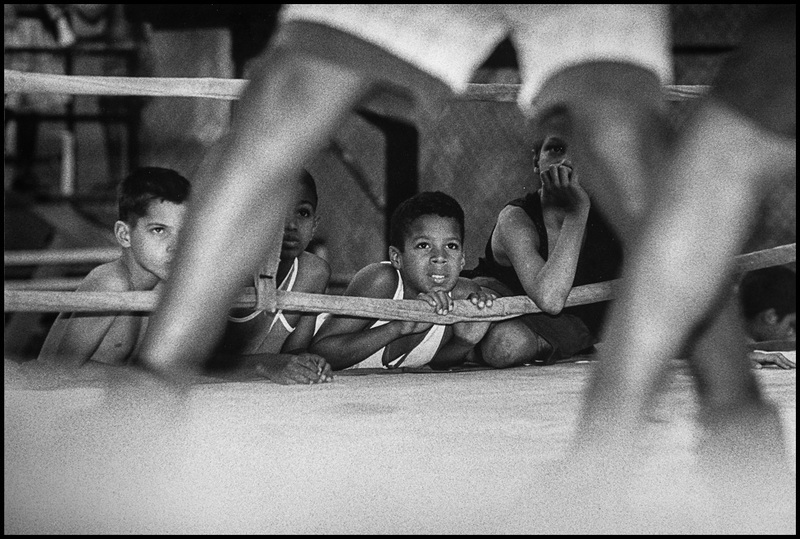 Behind the ropes, he waits. 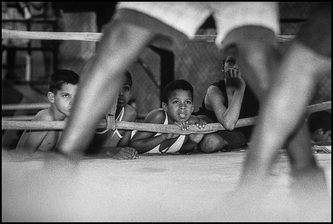 Tense and ready to pounce. 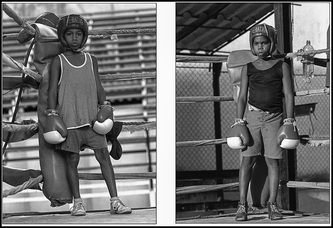 Photography is like a master key. I use it to enter into peoples’ world; to learn from them, to watch them interact, and live.